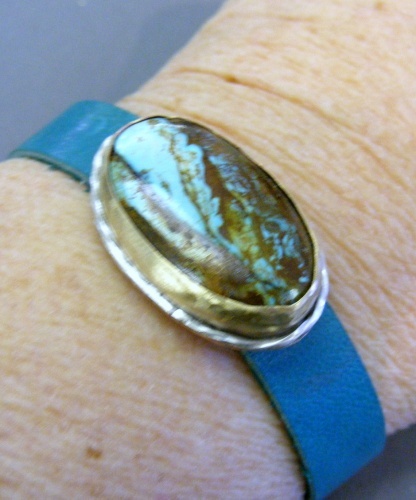 This leather mixed metals bracelet has a gorgeous turquoise gemstone. Bronze bezel with a sterling silver twisted wire to make it all pop. Matches the turquoise soft leather. Has a bronze strong magnetic clasp. One of a kind.